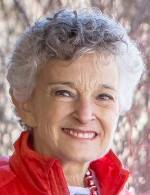 Linda Lee, 69, of West Bloomfield, Michigan, died on 31 March 2014. A Funeral will be held at IRA KAUFMAN CHAPEL on Tuesday, 1 April 2014 at 2:00 PM . Rabbi Joseph Krakoff and Cantorial Soloist Neil Michaels will officiate. Check back 30 minutes prior to the service time for a link to the live video. The family of Linda Lee will be gathering through the afternoon of Friday, April 4 at the residence, 5300 Isle Royal Court, West Bloomfield MI 48323 for friends to call. The phone number is 248-851-2518. Religious Services will be held at 7:00 P.M. Tuesday, Wednesday and Thursday Evenings. The family requests visiting begin Wednesday, Thursday and Friday at 2:00 PM. Beloved wife of 46 years of Henry Lee; Cherished mother of Sheri Lee (Dennis Brodsky) and Andy (Benita) Lee; Loving Grandma of Felix and Hugo Brodsky, Asher and Hudson Lee; Devoted daughter of the late Irving and the late Harriet Marash; Sister of Susan (Roger) Hertzberg, Bonnie Marash and the late Pamela Miller; Sister in Law of Dr. Irwin Miller, Larry Kamen, Linda (the late Jim) Albert, nephew Scott (Julie) Kamen, other nieces and nephews and a world of friends.